Right, Wing-Nut! : Barack Obama Is...Judge Smails? Spaulding Smails: "I want a hamburger, no a cheeseburger. I want a hotdog. I want a milkshake. I want potato chips--"
Judge Smails: "You'll get nothing and like it!" 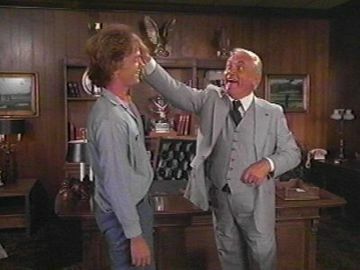 Smails winds up being the big loser in Caddyshack, losing an $80K bet to Rodney Dangerfield and perhaps losing the entirety of Bushwood (as Dangerfield threatens to tear it down so as to build condos). Obama could lost the entirety of the United States.